Khoury Architects has completely renovated and remodelled this existing 1970s detached house. Working within the existing building, Khoury Architects designed a rear and side extension to increase the dwelling from a 4 to 5 bedroom family house. Khoury Architects was mindful of the proximity of the site to a conservation area, so proposed a contemporary facade design while working within the pitch of the existing roof. These before and after shots demonstrate the effectiveness of render and cedar cladding in transforming the dated appearance of the front of the house. 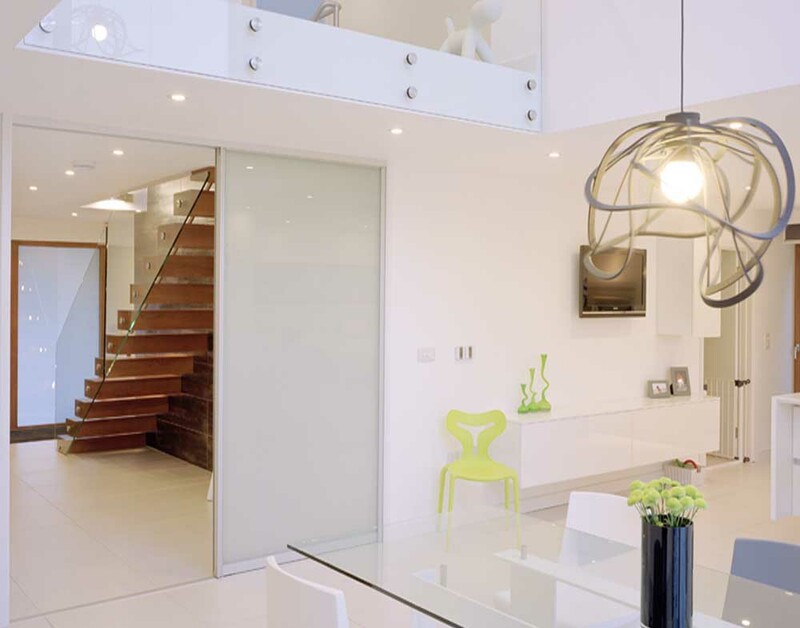 The internal layout has been completely transformed both in plan and section creating an exciting open plan kitchen / living area, which is overlooked by the first floor landing through the addition of a new double height void. 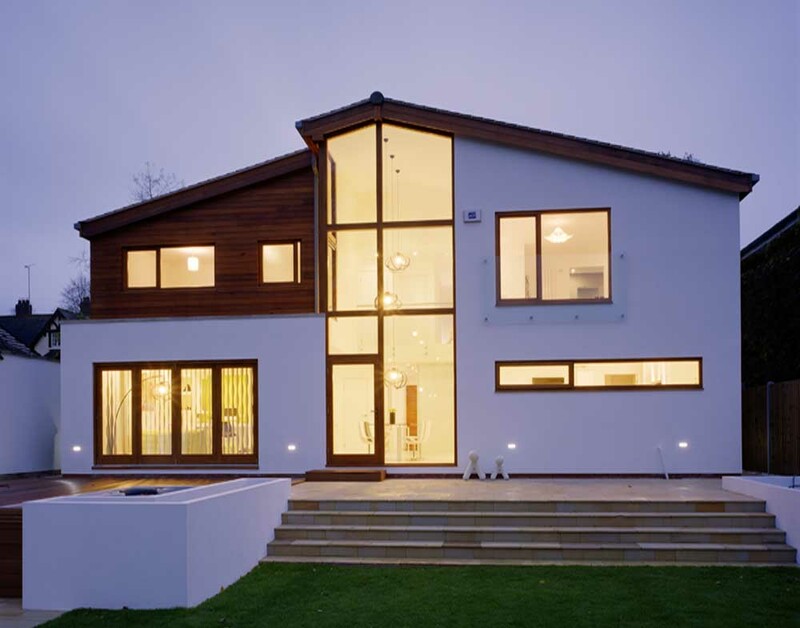 The double height glass atrium at the rear opens the house up to the landscaped gardens. 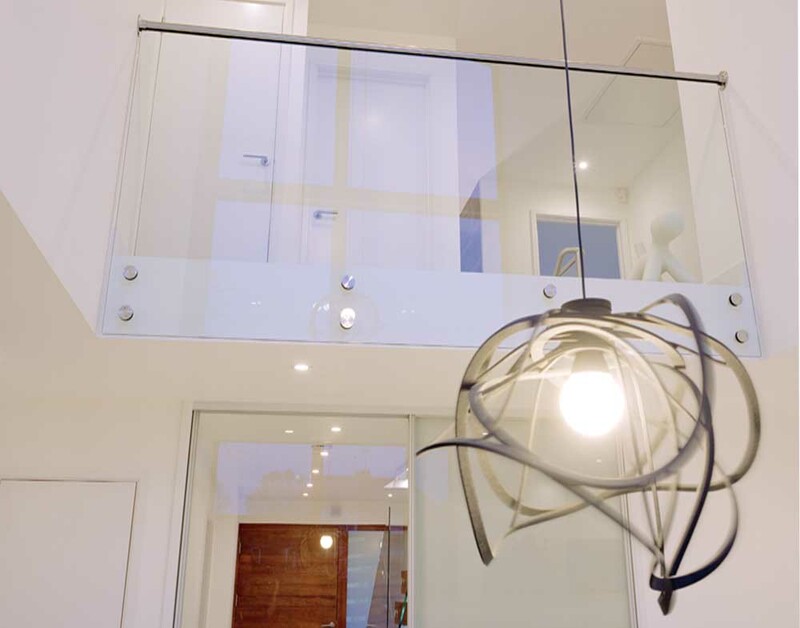 The entrance hallway is now flooded with an abundance of natural light coming from the glazed rear extension. 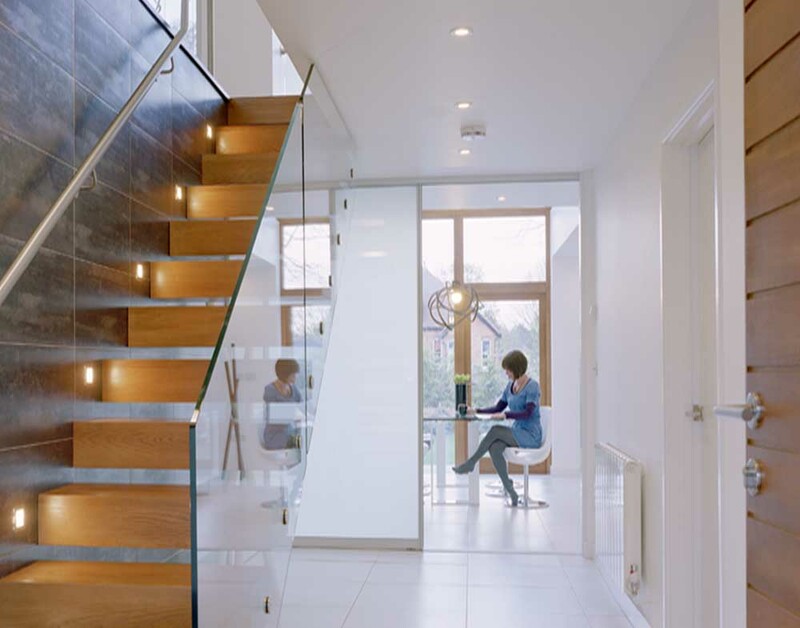 Projecting from a wall is an open tread feature staircase built from the same cedar as the house’s external cladding and joinery. Gladstone Road was featured in Ideal Home’s “Makeover Ideas” in September 2012.